Did you know that 63% of marketers today work with 10 or more influencers on every campaign? What do you think the reason for the exponential growth of influencer marketing is? It’s because influencers can connect with their audiences as trusted peers. And their authenticity, knowledge, and opinions can convert people into loyal customers. However, finding influencers who are right for your brand isn’t as simple as it might sound. So, I’ve created this comprehensive guide to help you identify and find influencers who are best suited to your business. To make it simpler, I’ve divided it into three parts. I’m going to talk about the following points in here. Where can you find influencers for your business? How to collaborate with influencers after you’ve found them? Let’s explore the detailed strategy to help you find the right influencers for your business. Situation 1: You are at a party where you meet someone you don’t know. He tries to convince you to be his friend by bragging about his personality. Would you even bother to get to know him better? My best guess would be – no. Situation 2: At a party, your friend introduces you to one of his friends. Do you think you might make an attempt at getting to know this person better? The chances of this happening are certainly much better than the previous one. Why? Because you trust your friend’s recommendation – if he’s already friends with that person, it may not hurt to get to know him better, right? The human mind works exactly the same way when it comes to influencer marketing. An influencer plays the role of the mutual friend who connects your brand with your target audience. And that’s exactly why 49% of US millennials turn to social media for recommendations before deciding on a purchase. So what’s the role of influencers for your brand? They create content for your brand. They recommend your brand to their followers. They immerse themselves in conversations that surround your brand. Now that we know the role they can play, let’s dive deeper into how do you go about finding influencers. Audiences are one of three cornerstones of any influencer marketing strategy. And this is where many brands go wrong. They fail to ensure that their target audiences are the ones following a particular influencer. For example, let’s say you have a beauty brand. In order to sell your products, you decide to work with a beauty blogger. Do you think you’ve made the right selection? You need to understand that not every beauty blogger has the same kind of target audience. Some may target millennials as their audiences. Others may target moms or middle-aged women. So, what is it that you must check for? You need to ensure that your target audiences are the same as that of your influencer’s. Finding the right influencers ensures that your products are shown to relevant audiences who may be actually interested. 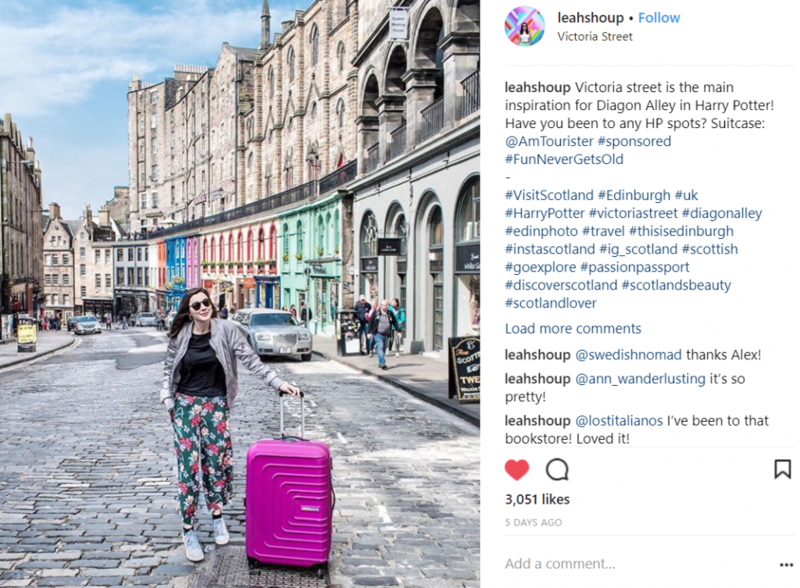 In the above image, a travel influencer is seen promoting American Tourister. If you are a brand that deals in travel accessories, approaching such influencers would be beneficial. Your products will be exposed to the right audiences who may actually be interested in them. Now that you realize the importance of influencer marketing, let’s look at how you need to evaluate your influencers. Evaluation is necessary or else you may end up with the wrong influencers or even fake ones. Below are the parameters that you must evaluate when finding influencers for your brand. Reach simply means the total number of followers an influencer has on social media or their blogs. You need to make sure that your influencer has a decent following on the social channel where you wish to run your campaign. Perhaps, even more important than the reach, is the engagement rates of an influencer. Why? Because it is an indication of how many of their followers are truly interested in their content. It is essentially a measure of how much your influencer is capable of influencing their purchase decisions. 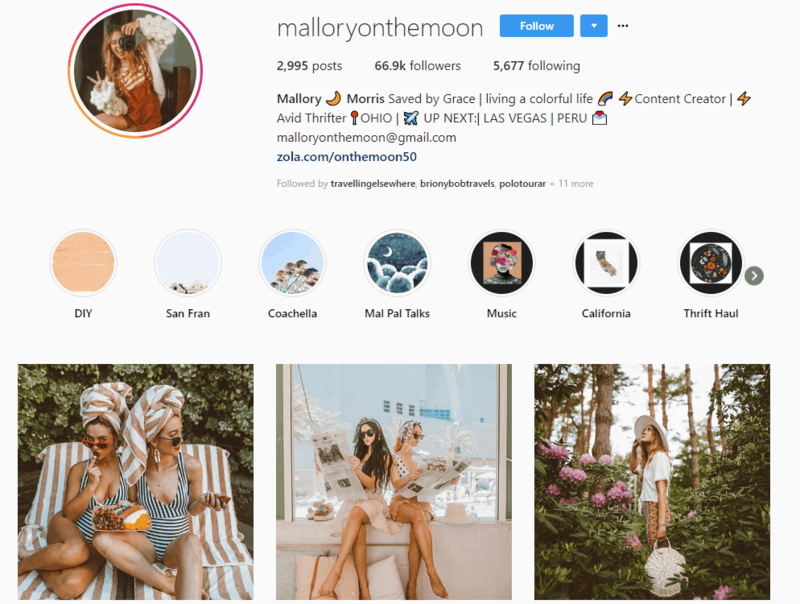 A recent research found that Instagram influencers with 1K to 5K followers have greater engagement than bigger influencers. If an influencer’s recommendations sound authentic, only then will their follower’s trust and follow them. Their posts (especially any brand sponsored content) shouldn’t look like something they’re talking about only because they’ve been paid to. Find influencers whose personality and style aligns with your messaging and brand values. Such resonance will make the content truly appealing and relevant to your target audiences. Find influencers whose niche aligns with your business, products, or industry. For example, if you develop tech gadgets, find influencers from the technology niche. Relevance is key when it comes to deciding the fate of your influencer campaigns. Where Can You Find the Right Influencers? Influencer marketing is certainly not restricted to celebrities. Brands turn to influencers who have built smaller but highly engaged audiences. In fact, micro-influencers have 22.2X more buying conversations than the average consumer every week. The easiest way of finding the right influencers for your brand is to look for the ones who are already talking about you. Blog posts or social media mentions about your brand will help you find influencers in your network. So, look out for those. Social media monitoring or listening tools can help you find influencers who are talking about you or your industry. For instance, someone may have posted about yoga accessories. If you deal with such products or something similar, you definitely should engage with them. Social monitoring and listening tools like Hootsuite, Mention, or Simply Measured can help you track your brand mentions on social media. You can use them to respond to your customer comments or even find relevant influencers talking about you. Hashtags make content searchable and accessible on social platforms. So search for hashtags that may be relevant to your brand. This can help you find influencers who are right for your business. 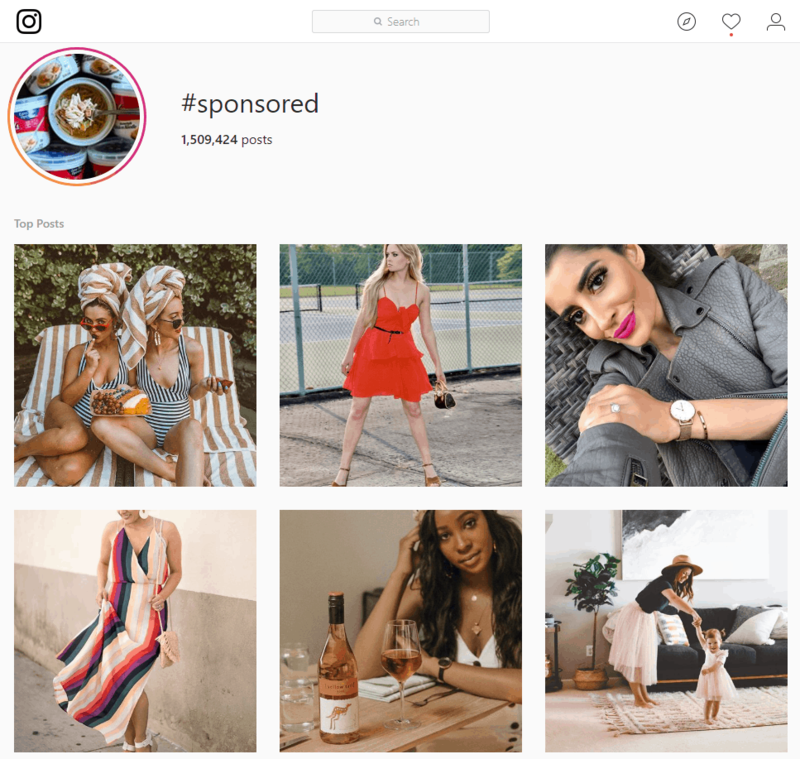 Search for #sponsored, #ad, #blogger, or #influencer on Instagram and check out the results. If you happen to come across a post that you like, check out the creator’s profile. If you like their content and aesthetics, check if they’re from the same niche as yours. If they also have a decent number of followers, proceed to checking their engagement rate. 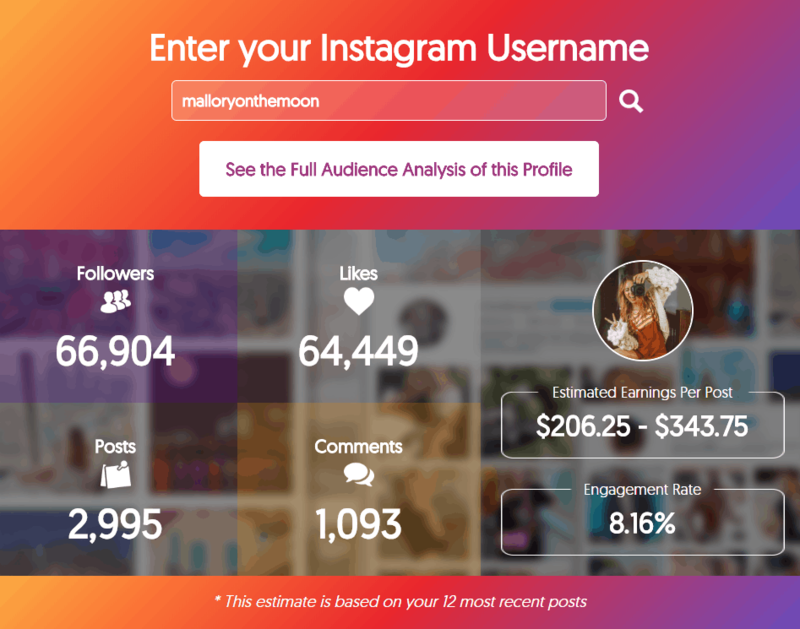 You can use tools like Instagram Money Calculator to check engagement rates and get a rough idea of what their influence is worth. If they fit the bill on all accounts, you can add them to your list of potential influencers for outreach. 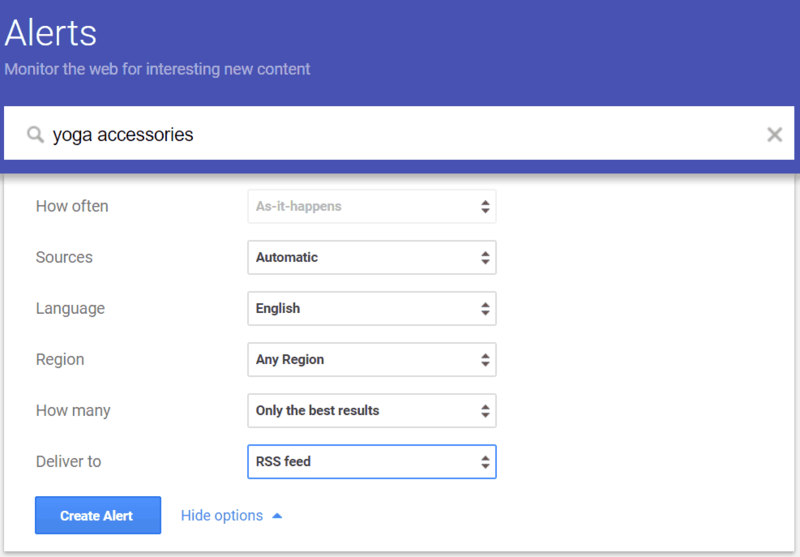 Set alerts for keywords relevant to your brand. This will help you find people who write about topics relating to your industry or products. Doing this can help you find posts containing your mentions. It also allows you to find relevant brand advocates. When looking for influential bloggers for your brand, read through their posts to ascertain if they write about relevant topics. Check out their Domain Authority and social media statistics and contact the ones who meet your criteria. 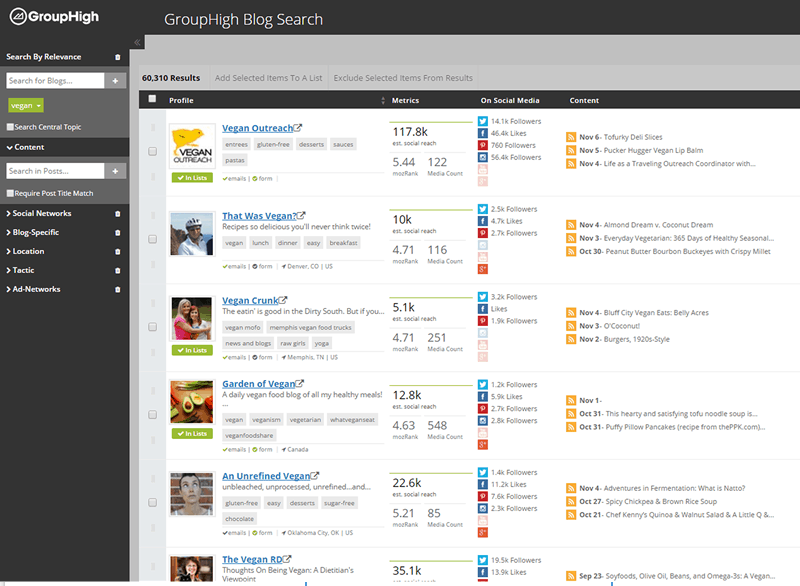 You can use platforms like Inkybee, BlogDash, BuzzStream, or GroupHigh to make the process simple and quick. Influencer marketing platforms can help you find influencers who are right for your business quickly and easily. 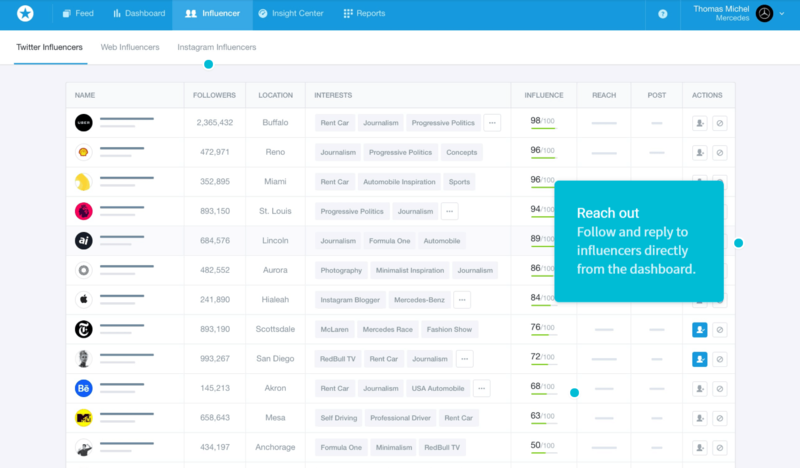 They allow you search their databases of influencers and filter by reach, category, engagement, social platforms, and many more. You can conduct efficient outreach and can even run, track, and measure your campaigns using them. Grin, BuzzSumo, BuzzStream, HYPR, and TRIBE are some useful influence marketing platforms you can use. Use a warm, personal way of familiarizing yourself before you contact them about a campaign. Start following and engaging with their posts on social media. Comment meaningfully and show your appreciation of their work. Remember to also share their content in your networks. Who you are and how you came to know about them. What you can offer in return. How they can take the conversation forward. There’s no need to go into the specifics of what you can offer. However, you need to make your offer sound lucrative enough to increase your chances of getting a response. You can talk about how relevant the opportunity could be or refer to some of your past successful collaborations. Don’t forget to mention a clear call-to-action in your email. You can ask them to reply with a suitable time for a detailed discussion, for example. Since they get a large number of messages, it’s possible that your email goes unnoticed by influencers. So wait a couple of days and send a follow-up email if you still don’t hear from them. Send at least a couple of follow-ups before you move on. The right influencers can lead your campaigns to success. You should focus on building long-term relationships with your influencers for the best results. Provide fair compensation, introduce them to your networks, share freebies, and stay in touch even when you don’t need them. Such gestures will ensure that your influencers are more invested in your campaign’s success. Can you think of any other strategies to find influencers for your business? Please let me know in the comments below.